Not really a recipe today, this is one of our most popular bruschetta in La Cucina so I thought I’d share it with you. 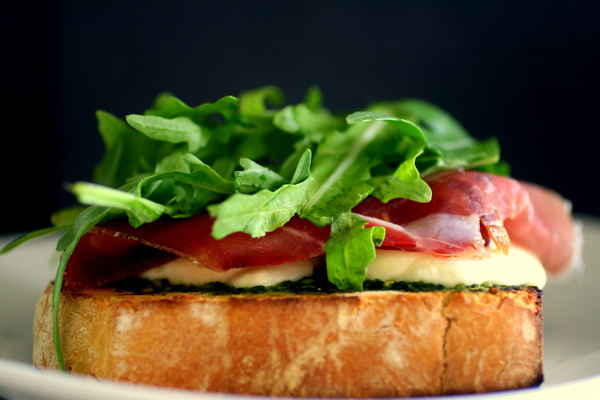 It’s perfect for an antipasti or light lunch and very simple to put together. 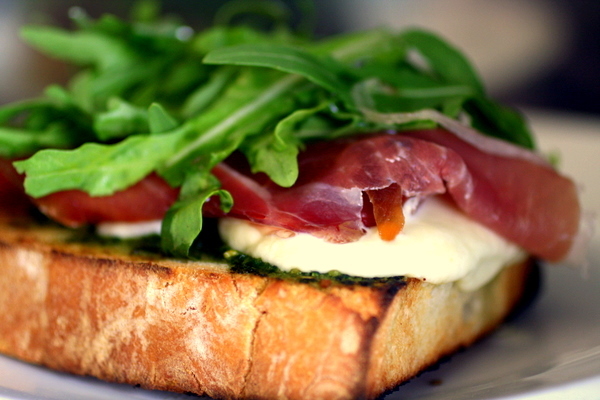 serve with parma ham and rocket on top and drizzle with a little olive oil. I would agree with Lors. Its such a shame to reserve pesto only for pasta, when it has so many other great uses.